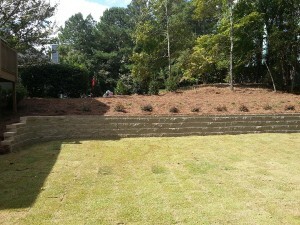 We offer hardscaping, landscaping, tree removal and demolition services across the North Atlanta Metro Area. 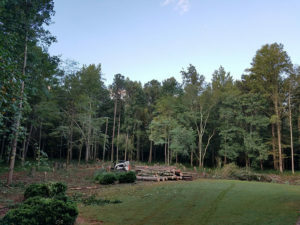 When you trust your project with Winston’s Removal & Landscaping you’ll know your property work will be completed by a licensed and insured company and that your satisfaction is guaranteed. We have the right tools and expertise to create your new outdoor living space without you have to break a sweat (or back!). 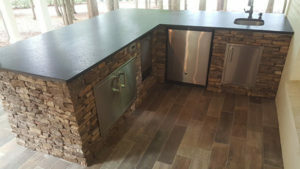 Whether you are looking to add a new patio, outdoor kitchen, fireplace, retaining wall or fence, those are just a few of outdoor services that we offer. Winston’s Removal & Landscape offers a wide variety of professional landscaping design and services at an affordable rate. We discuss customers preferences for their particular landscape style and make sure the homeowners are getting the best use of their property. We use top quality local plants, shrubs and tree providers to ensure you are getting the healthiest options in your yard. If you have unwanted trees or underbrush / overgrowth on your property, you’ll be glad to know that we’ll get rid of them quickly and safely. Do you have unwanted items taking up valuable storage space or simply creating an eyesore? We offer a wide assortment of removal and cleanup services, including car removal, debris removal, building clean out, and general clean-ups, as well as demolition of commercial properties, homes, flooring removal, and other demolition projects.